My latest direction with Harmony Guitars, comes from the fascination with the hollow and semi hollow body, thin line guitars from the 60?The Harmony Rockets have always been a guitar that caught my interest. These Rockets, whose name was influenced by the space race of the 60?were fun instruments to play. 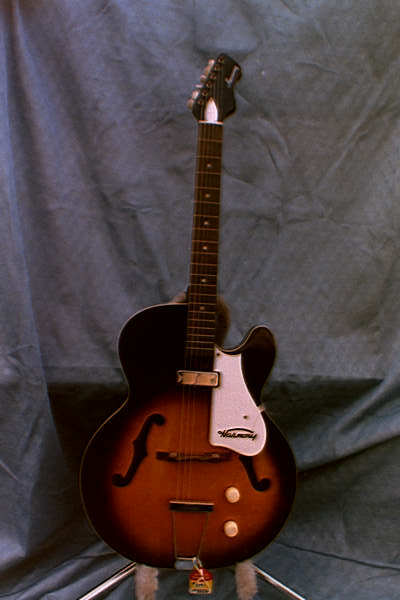 The sound that was characterized by the DeArmond pickups they used gave them a unique sound that is still sought after today. I have acquired several of these guitars over the past few months and continue to be fascinated by their details, playability and sound. There was a whole assortment of configurations of these guitars. 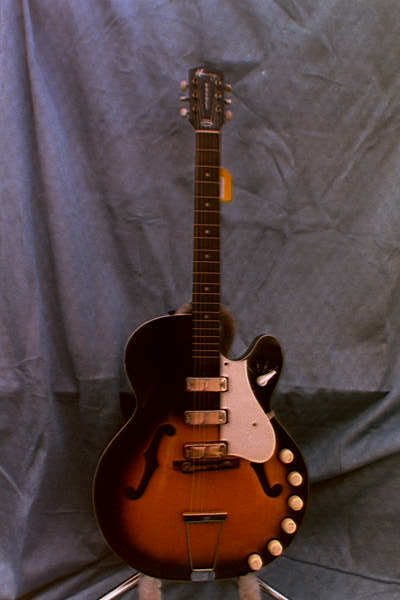 The early 60?rought about the single cutaway Rocket with ?ra thin cutaway with golden tone indox pickups.? ?ey had their one pickup model. This H53, as the other 2 and 3 pickup models had ?mony?ltra thin arched tone chamber construction.? ?e H54 Rocket II, had two pickups, as the Rocket III, H59 had three. 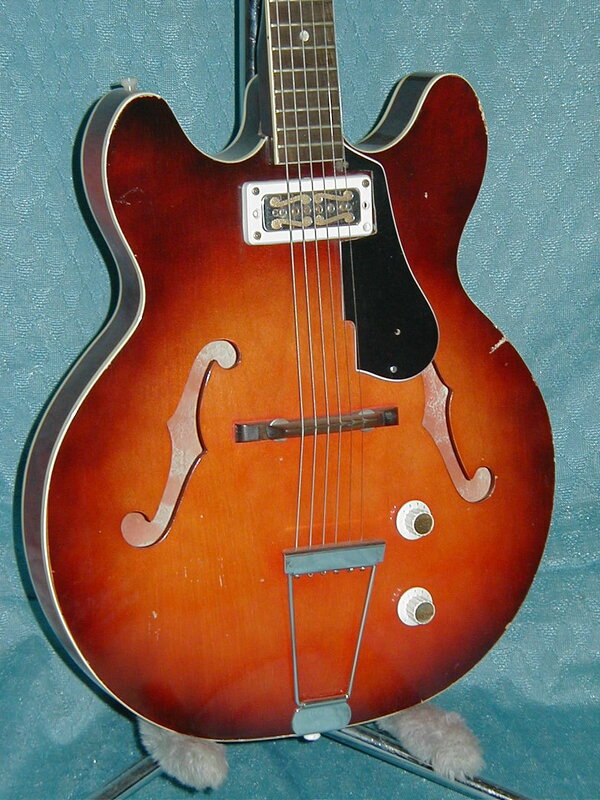 With a selector switch to permit playing either pickup, these guitars were very versatile for lead or rhythm players. The catalogues boasted ?standing modern design, quality and value.? ?ey all had the hardwood bodies with celluloid binding. In the mid 60?he line remained consistent. Features remained the same, equip with bezel mounted adjustable gold tone pickups. These DeArmond pickups and their appointments, tried to appeal to the young market they were targeting. By 1971 the had Golden tone pickups with individual adjusting pole pieces under each string, " to allow you to balance response." With the addition of the H56/1 with a ?e W,? ?broto tailpiece, Harmony added, ? pleasing sounds, and effects of vibrato desired by today?uitarist are had by simply wavering the arm.? 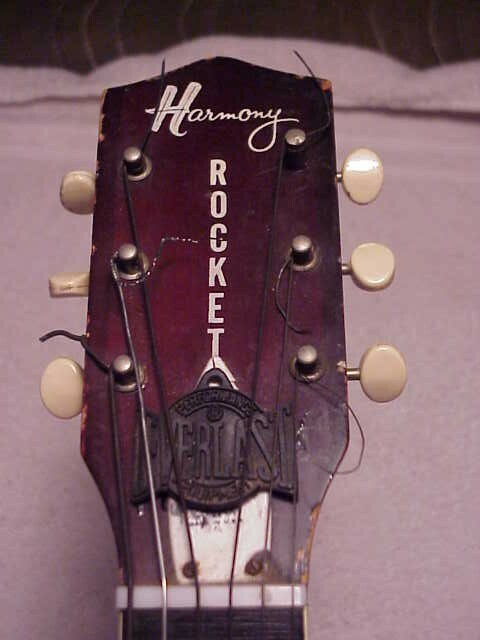 ?wards the end of the decade the Harmony Rocket progressed to compete with the appeal of the double cutaway guitars. These guitars designated the same models, had similar features. With their richly polished cherry red lacquer finish, these guitars established themselves in American guitar history.